Template - Choose your template file. It should be a 1800x1200 or 1200x1800 file. 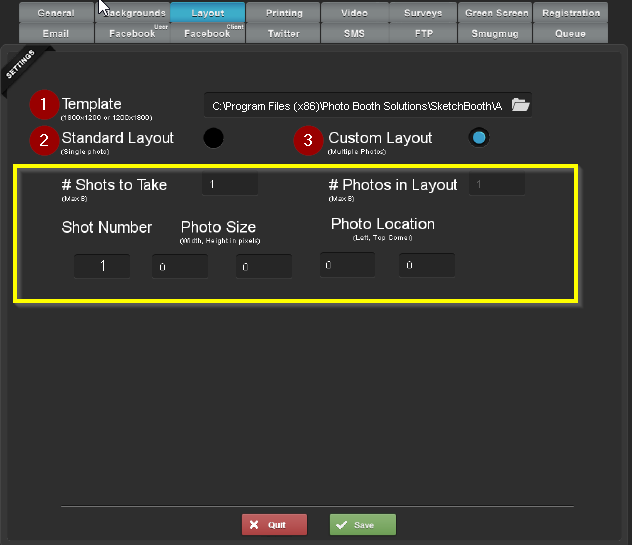 Custom Layout - Design your own template design outside the single shot.